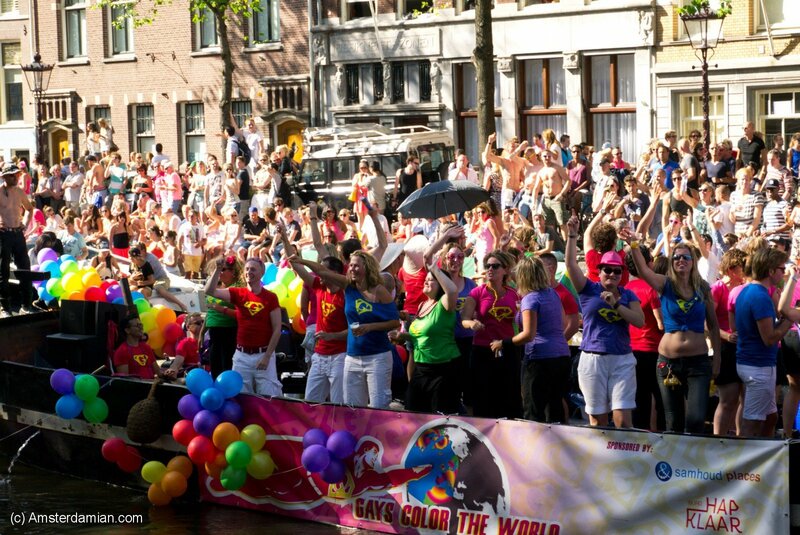 It’s that time of the year again when rainbow colours are all over Amsterdam: The Gay Pride 2013 was in town! 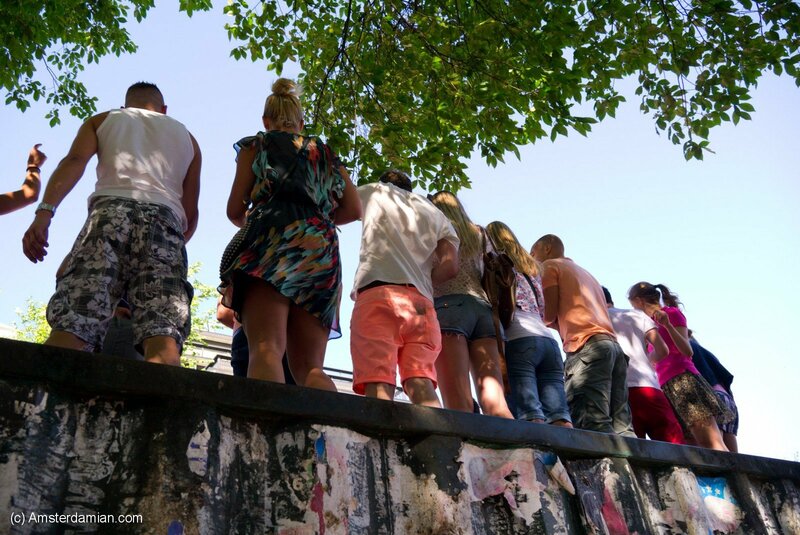 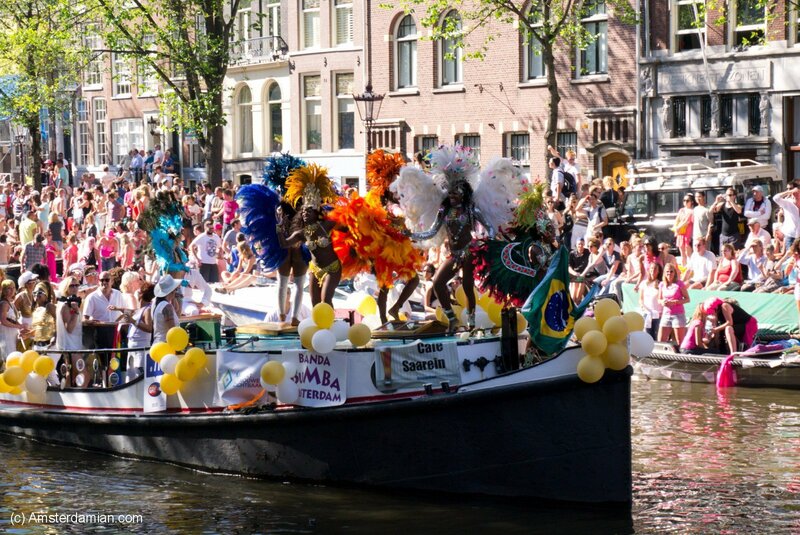 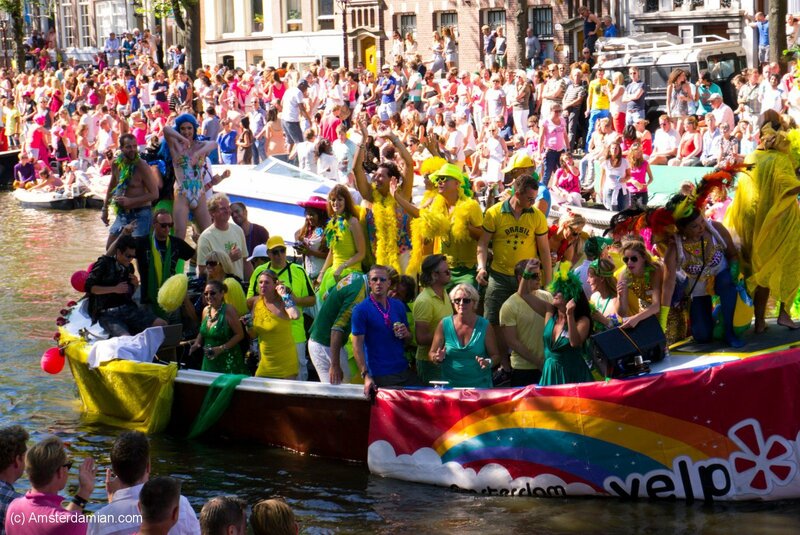 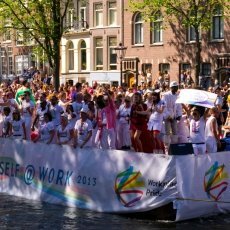 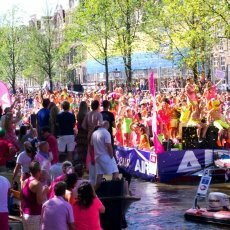 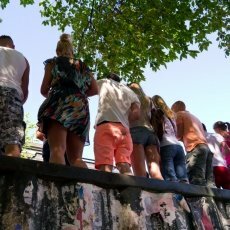 A most anticipated event, the Gay Pride Parade, took place on Saturday, 3 August, on the Prinsengracht canal. 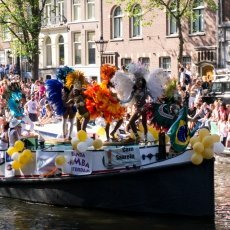 Although very fun and cheerful, I found it to be less spectacular than the parade from two years ago, but it was a success nonetheless. 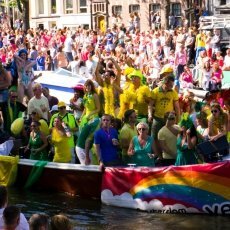 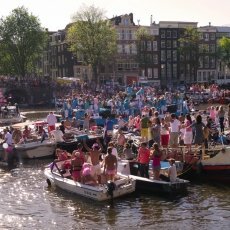 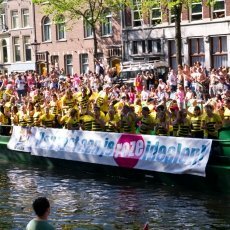 As notable boats for this year are the ones displaying slogans against the new Russian laws regarding homosexuality and a boat organized (for the first time) by the Netherlands’ soccer association. 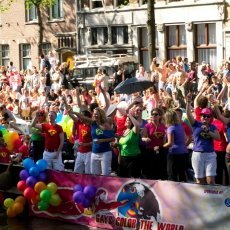 I love the Pride Parade, it’s one of my favorite bits of summertime in Amsterdam! 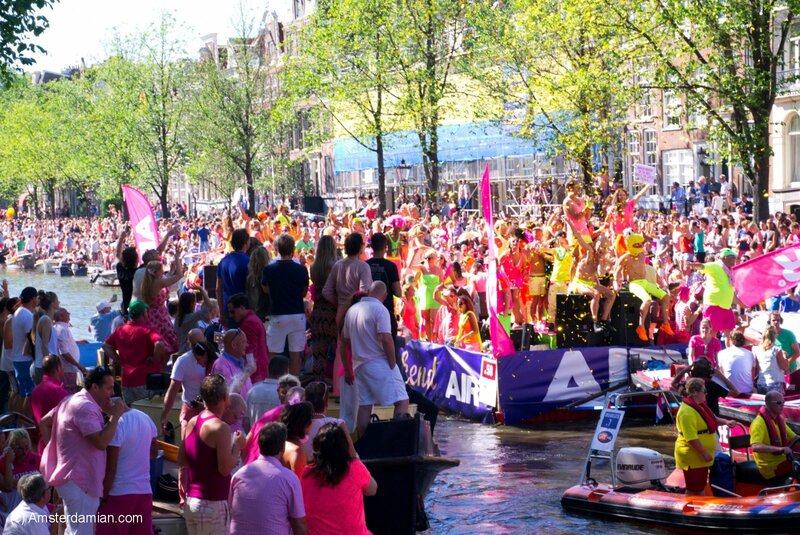 Did you see the guys on the water jet packs? 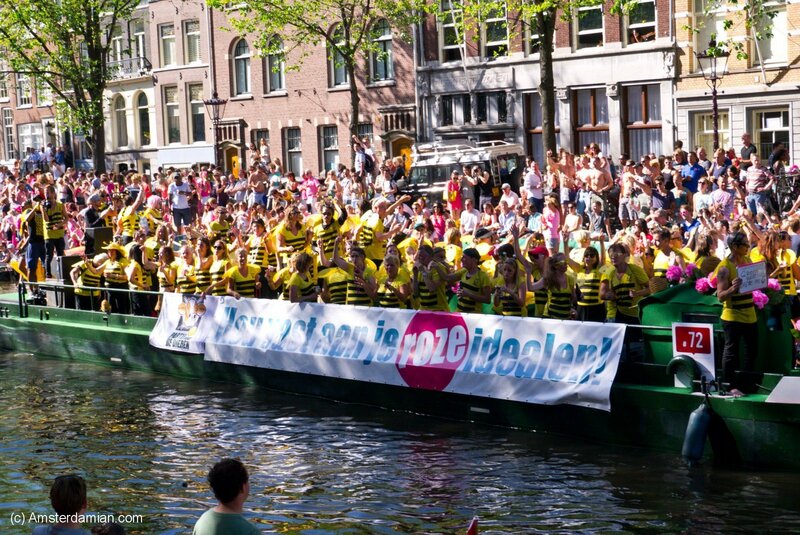 Haha that was too cool!